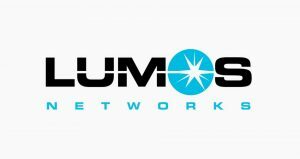 Is there any Lumos Networks outage? Check out the issues and problems with the service with this website. Internet, Phone and TV services are available to both business and individual customers. The service area covers up Virginia and West Virginia. In addition to that, some parts of Ohio, Maryland, Pensylvania and Kentucky also provides the service. If you have any problem with the service, you can check the status here. Problems with Lumos Networks are not reported so frequently, however some minor issues occur from day to day. If you are today suffering with any outage of service, submit a report here on this website. The outage graph of Lumos Networks presented above is the place, where you can submit reports. Most problems are reported about internet and phone services. The issues can be either with customer settings or with the line, at which customer is connected. If you are experiencing any problems today with Lumos Networks, we will show you what’s going on. Have another problem with Lumos Networks you can use the comments section to share your thoughts.